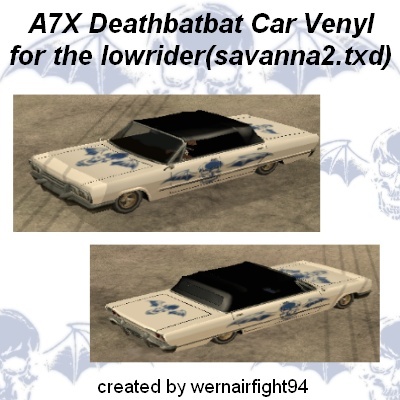 This mod contains: "Savanna A7X Deathbat Car Vinyl". 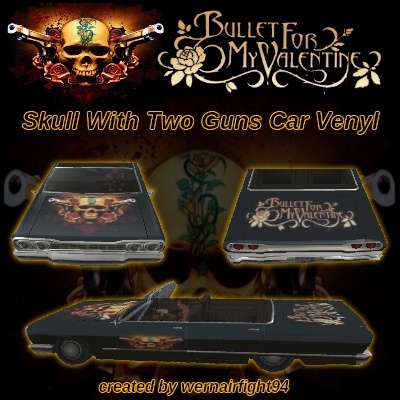 This mod contains: "BFMV Skull With Two Guns Car Vinyl". 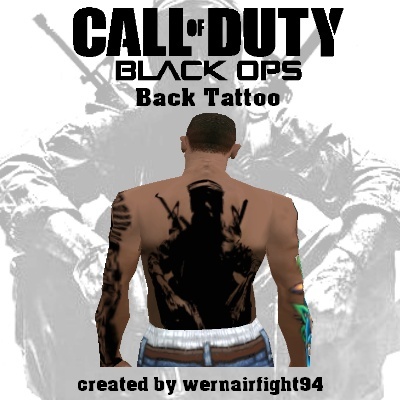 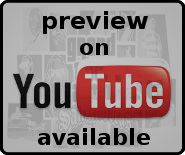 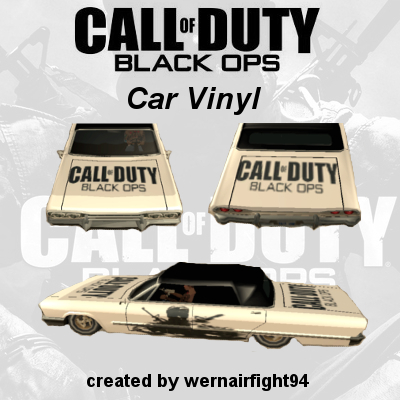 This mod contains: "Call Of Duty Black Ops Car Vinyl".